VeriCite DocumentationUser GuidesBlackBoard User Guide Instructor ArticlesHow do I add a VeriCite LTI assignment? From the Assignments screen, click New Assignment. Zoom: From the Assignments screen, click New Assignment. Zoom: Enter the assignment information. 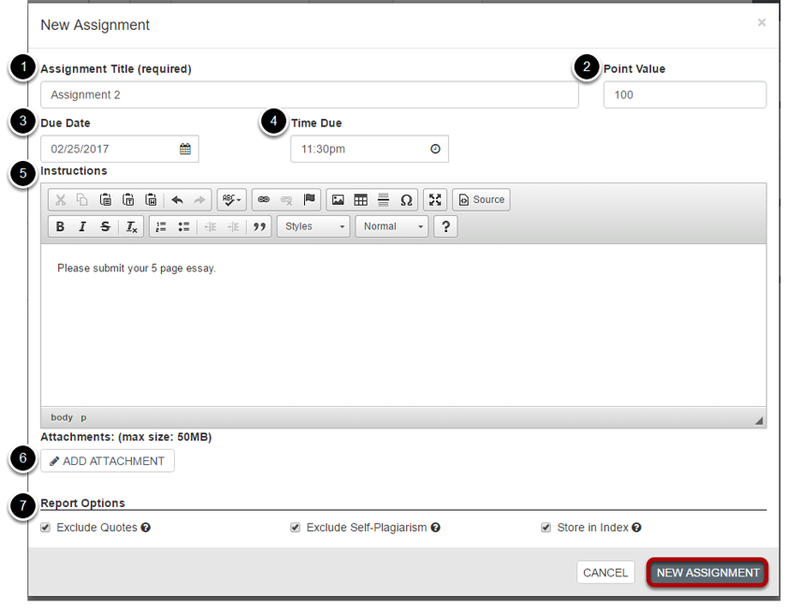 Then, click the New Assignment button at the bottom to save your assignment details. Once you have added your assignment, it will display in the Assignments list. Assignments are grouped according by due date into Upcoming, Past, and Undated categories. From this screen, the instructor can also see how many papers have been submitted to a particular assignment. Prev: How do I configure VeriCite as an LTI tool? Next: How do I submit a VeriCite LTI assignment on behalf of a student?